PlaySmoke billows at the site of a military plane crash in Savannah, Ga., on May 2, 2018. The names of the missing will not be released until next of kin are notified. 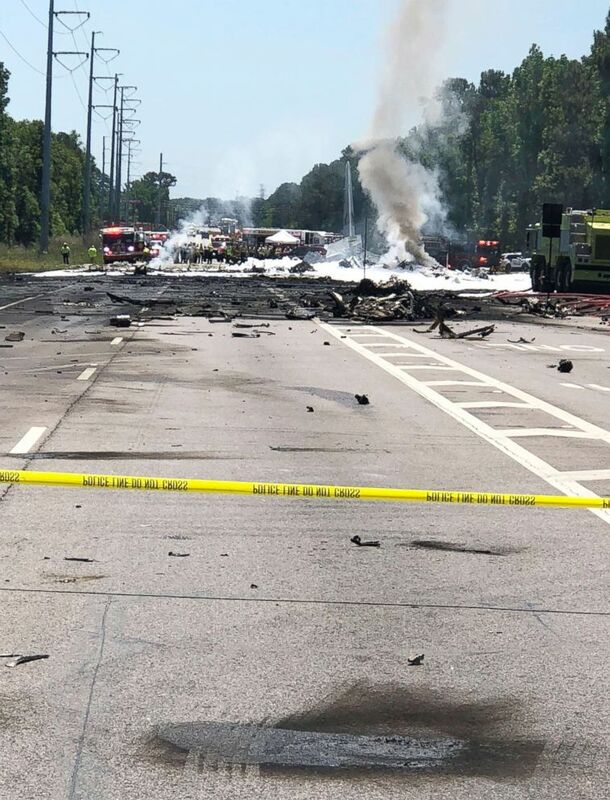 A C-130 military transport plane crashed near the airport in Savannah Ga. at the intersection of Highway 21 at Crossgate Road on May 2, 2018. 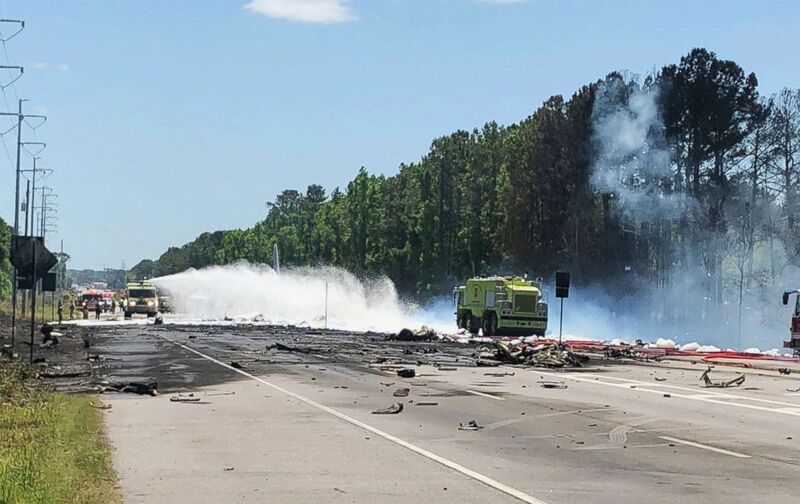 The plane crashed at the intersection of Highway 21 at Crossgate Road just northeast of the Savannah airport, according to Chatham Emergency Management Agency. Those roads are shut down, and power has been cut to the area. 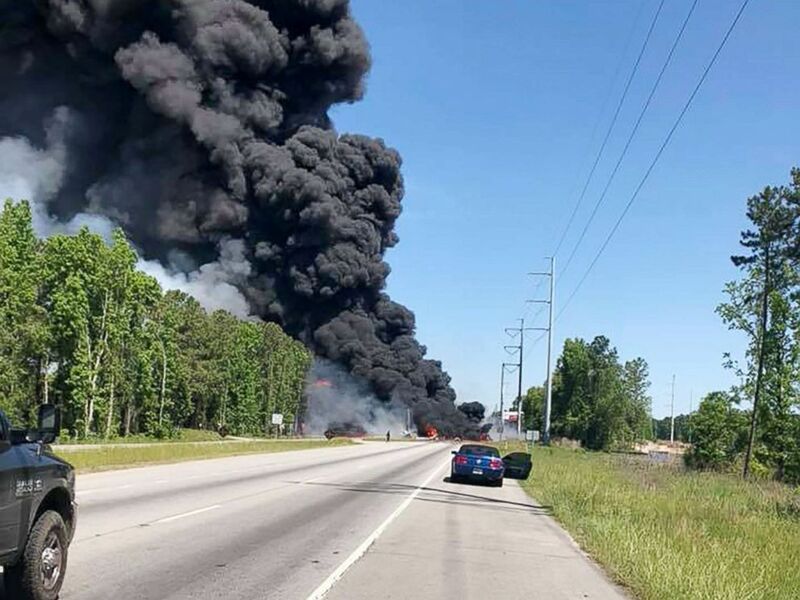 Smoke billows at the site of a military plane crash in Savannah, Ga., on May 2, 2018. “As far we know there were no cars hit in this crash, it is an absolute miracle at that time or day and that intersection," said Gena Bilbo, Public Information Officer at Effingham County Sheriff’s Office, during a press conference. All train traffic in the area has also ceased, as train tracks were damaged in the crash, Bilbo said. 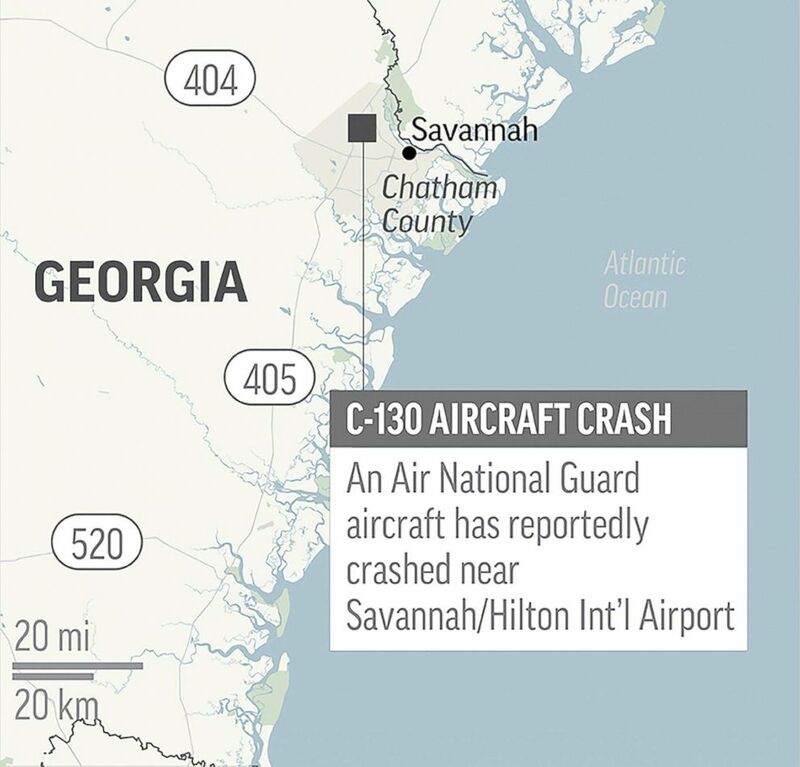 This map locates the area where an Air National Guard C-130 has crashed just outside of Savannah, Ga., on May 2, 2018. The plane took off from the Savannah/Hilton Head International Airport, according to Senior Master Sgt. Roger Parsons of 165th Air National Guard. It was heading to Arizona on a routine training mission, according to Puerto Rico's governor Ricardo Rosselló. Crews from the airport are assisting with local agencies, along with the the 165th Airlift Wing. 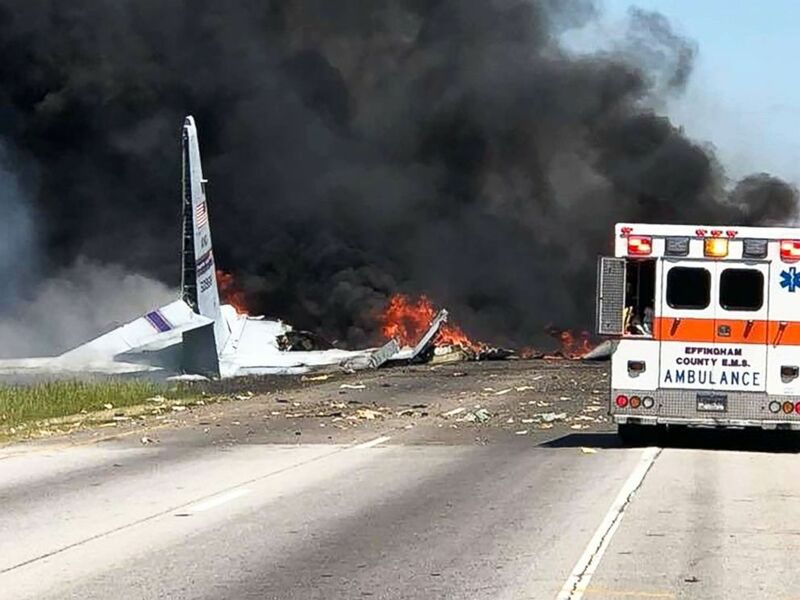 Emergency personnel work at the scene of an Air National Guard C-130 cargo plane that crashed near Savannah, Ga., on May 2, 2018. The airport said there has been no impact on its flight operations. 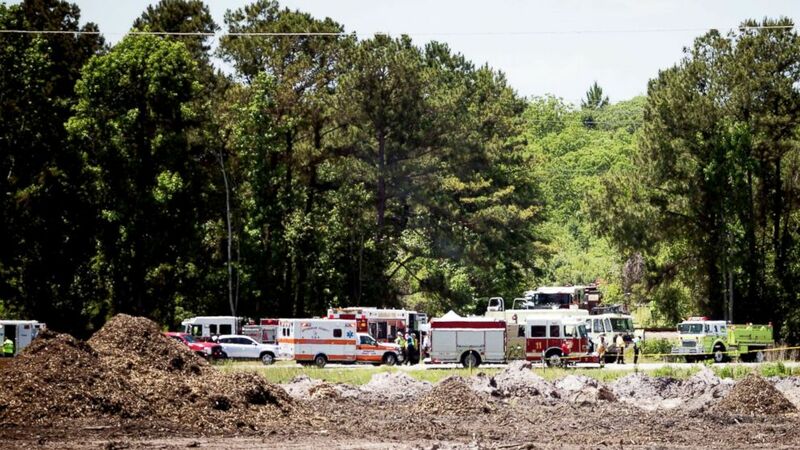 Emergency crews stage at the site of a military C-130 plane crash in Port Wentworth, Ga., May 02, 2018.